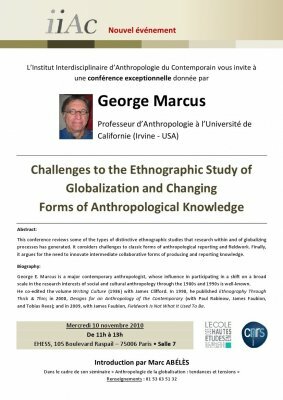 This conference reviews some of the types of distinctive ethnographic studies that research within and of globalizing processes has generated. It considers challenges to classic forms of anthropological reporting and fieldwork. Finally, it argues for the need to innovate intermediate collaborative forms of producing and reporting knowledge. 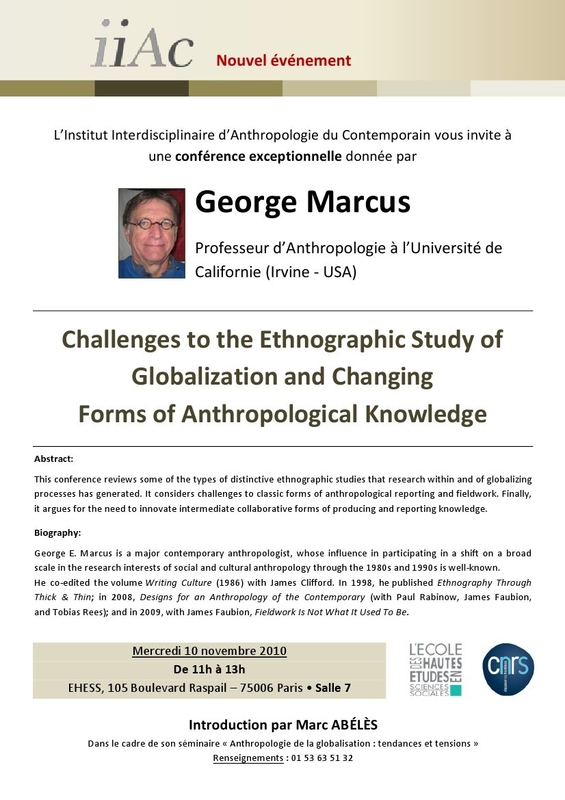 George E. Marcus is a major contemporary anthropologist, whose influence in participating in a shift on a broad scale in the research interests of social and cultural anthropology through the 1980s and 1990s is well-known. He co-edited the volume Writing Culture (1986) with James Clifford. In 1998, he published Ethnography ThroughThick & Thin ; in 2008, Designs for an Anthropology of the Contemporary (with Paul Rabinow, James Faubion, and Tobias Rees) ; and in 2009, with James Faubion, Fieldwork Is Not What It Used To Be.